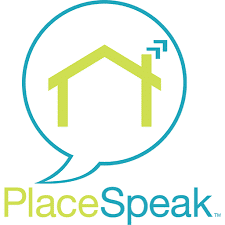 In this edition of the DIACC member Spotlight, we chat with experts from PlaceSpeak. Learn about their work, why they strongly believe Canada benefits from a unified set of Digital Identity standards, and why they joined the DIACC. 1. What is the mission and vision of PlaceSpeak? Mission: How do you consult with people online within specific geographical boundaries… and prove it? The answer is PlaceSpeak, a pioneering location-based smart cities civic engagement platform. Our solution combines digital identity authentication with privacy by design principles to strengthen legitimacy in online public processes. By connecting digital identity to residential address, PlaceSpeak provides geo-located feedback to public, private and nonprofit sector organizations, and closes the feedback loop between public consultation, evidence-based decision-making and accountability; engendering trust. At the same time, PlaceSpeak enables a citizen-centred approach, leveraging the network effect. Using open data, PlaceSpeak delivers address-based notifications to keep residents informed, while providing opportunities to be consulted and involved,as well as encouraging collaboration, all of which ultimately empower citizens. Vision: Over time, PlaceSpeak aims to advance digital democracy: “making it real”. Currently, online citizen engagement is anonymous. and not tied to place. This has led to the proliferation of trolls, sock puppets, astroturfing and other forms of online dysfunctions designed to skew and distort public opinion. Institutions that seem to have left “the people” out of the governing equation have deeply undermined the public trust. Currently, Canada and other Western Democracies continue to use ineffective and obsolete citizen engagement methods that no longer stand up to scrutiny. At the same time, advancement in information and communications technology has made it possible to engage in legitimate, scalable democratic practices. PlaceSpeak’s vision is to improve the quality and legitimacy of decision-making and public policy development by modernizing authentication of digital identity, protecting privacy by design and ‘making it real’ and actionable with regards to public input. This requires a robust, secure, scalable and privacy enhancing digital identification and authentication ecosystem. 2. Why is Digital Identity critical for PlaceSpeak’s success? Digital identity combined with privacy by design are essential elements of democratic innovation. Popular control in democratic practices requires citizen engagement as well as periodic elections. Citizen engagement produces the feedback data required as evidence to inform deliberation and outcomes. Evidence, in this case, requires digital identity authentication to be defensible. There can be no official online public participation without an online proof of residency framework that is privacy enhancing, secure, transparent, robust and efficient. In order to ensure that consultation proponents and decision-makers are hearing from affected citizens in the relevant geographical area, digital identity verification to place is critical for PlaceSpeak. This aligns with DIACC’s recent proof of concept on Online Proof of Residency, which seeks to demonstrate individuals’ ties to a physical address, on demand, with a reasonable level of assurance. Finally, by authenticating identity to place, PlaceSpeak is able to use open data to automate the delivery of location-based notifications on an ongoing basis. 3. What strategic goals does PlaceSpeak target to achieve in the next 5 years? Consolidate our position as the standard for digital identity authentication to place. Develop and integrate additional verification options through partnerships with government telecommunications to incrementally establish and strengthen digital identity to place. Establish our citizen-centric model to break down silos of levels of government, departments, regulatory agencies and the private sector to keep citizens informed where they live. Land and expand into communities globally, connecting digital identity to place to significantly increase our presence across sectors wherever authentic consultation is desired. 4. What else should we know about PlaceSpeak? PlaceSpeak is pioneering a citizen-centric model which removes the silos between governments at all levels (federal, state/provincial, local/municipal), between departments and between other public sector and regulatory agencies. By focusing on the individual and creating opportunities to stay informed; be consulted and involved; to collaborate; and be empowered, public participation is encouraged, and thus, leveraging the network effect. By building the tools to facilitate legitimate, defensible online conversations around issues that matter, PlaceSpeak sees itself as an antidote to persistent issues around citizen apathy and public trust. 5. Why did PlaceSpeak join DIACC? Solidarity. PlaceSpeak seeks to connect and network with other like-minded individuals and organizations. We were alone in the wilderness crying out for an identity ecosystem, and then one emerged in the form of DIACC. PlaceSpeak is committed to advancing best practices in citizen engagement and, in doing so, building trust in our democracy. ← What are Digital Identities?